Our guide to the best Instagram accounts from cool dads and mommy bloggers, because parents are the coolest people around! Check out the best Instagram accounts from mommy bloggers and daddy bloggers in 2019! Whether you're looking for a relatable parenting experience, top-notch parenting memes or mommy/daddy-and-me fashion inspiration, you've certainly come to the right place. We love these handles for a variety of reasons, but ultimately we're just enjoying each person's take on raising kids. Inspired? Thought so. Read on for our must-see Instagram accounts this year! Oh, and if you're curious, here were our top picks in 2017. 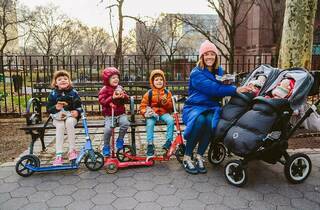 Mom and New Yorker Beth runs Little Kid Big City (@littlekidnyc), which features her family adventures in NYC—and young son's on-point hat game. 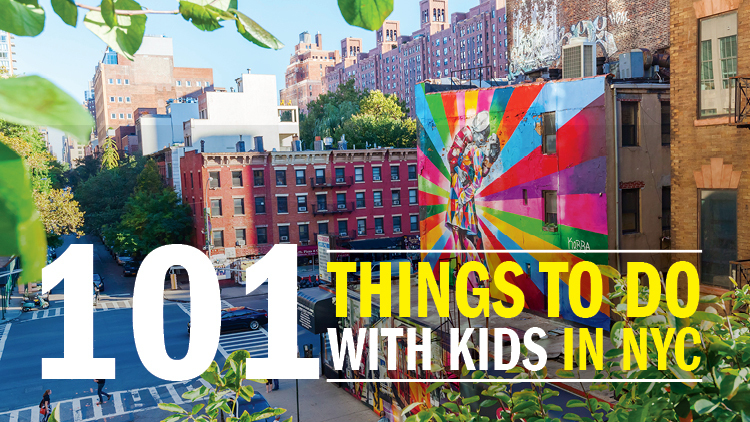 Her affiliated handle (@fomofeedkids) offers fun tips on things to visit around town. 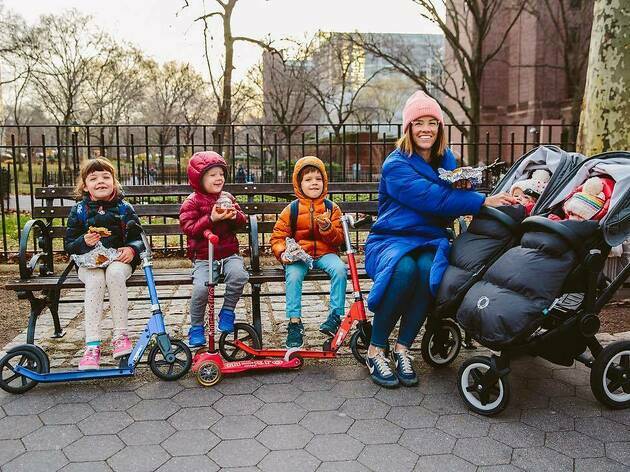 Brianne Mantz documents her busy life as a mother of three in @strollerinthecity's vibrant account, which is filled with both personal moments and fun family adventures. Need a laugh? Browse the endless stream of extremely spot on parenting-related cartoons and memes on @howtobeadad's Instagram handle. Big families will love following Naomi (Taza) Davis' action-packed urban adventures via Love Taza (@taza.) A mom to five kids (including a set of twins! ), she doesn't have a second to waste, and she makes every minute count as they explore the city together. Imperfect parents unite! For a daily dose of cute quotes, confessions and timely memes, @scarymommy's "Scary Strong. Scary fierce. Scary Proud." audience is more than a million strong. Sai De Silva (a mom of two) initially worried that she might lose her identity in motherhood—and in response to that very feeling, she started a powerful fashion-forward blog and Instagram (@scoutthecity) centered around family, style, beauty and travel. Ditch your kid's average, soggy sandwich and fruit lunch for a packed meal that's inspired by @lunchboxdad. Beau Coffron dreams up fun foodie combinations to create Disney characters, cartoons and other themed eats to bring a smile to your kid's face. Talented photographer and freelance illustrator @hannahcarpenter of Arkansas is a mother of four kids and documenter of all things "real"—think baby teeth, bathtime and beautiful chaos—about family life. Love cute kids? Love delicious snacks? 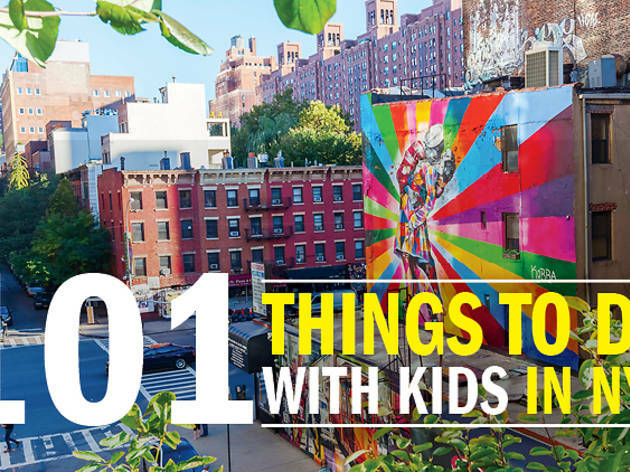 Follow this foodie family on adventures in the city via @foodbabyny.